Nephelie Andonyadis is a Professor in the Theatre Arts Department where she teaches courses in stage design, costume design and theatre for social change, in addition to designing department productions and mentoring student designers. Nephelie's creative activity is centered on her design work for American regional theatres. At South Coast Repertory where she has designed in every season since 1998, recent projects include designs for A Midsummer Night's Dream, Saturn Returns and the world premiere of Safe in Hell. Her work has been seen at many notable theatres including the Oregon Shakespeare Festival, Portland Center Stage, Center Theatre Group, The Acting Company, The Guthrie Lab, and The Court Theatre. Nephelie is a member of Cornerstone Theater Company (a nationally recognized multi-ethnic, ensemble based company) in Los Angeles, where she has designed many productions ranging from Jason in Eureka, a retelling of the myth of Jason and the Argonauts set in a historic Saw Mill in Humboldt County, to Los Illegals, a bi-lingual play made in collaboration with day laborers and undocumented workers, performed in a found space that incorporated the audience into the action of the play by surrounding them with the characters' literal, poetic and theatrical journeys. Other work with Cornerstone includes Three Truths an adaption of The Orestia set in modern day LA and The Unrequited, an adaptation of The Dybbuk set in depression era Watts. 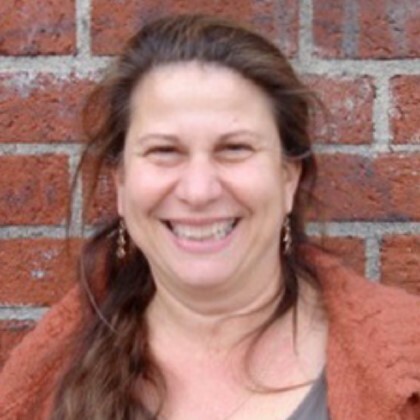 Nephelie began teaching in 1993 at the University of Michigan in Ann Arbor, where she earned her tenure before joining the University of Redlands in 2001. She earned her MFA from Yale University, School of Drama and her B.S. from Cornell University, School of Architecture. Nephelie served as project shepherd for the Theatre Arts Building in the University's new Center for the Arts. She is a recipient of the Hunsaker Award for Innovative Teaching and serves regularly on university governance committees.